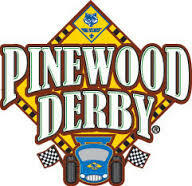 The champions from each pack can register their winning car to compete in the district pinewood derby race! Adults, and Scouts in troops, crews and ships are invited to compete in the 0pen and 0utlaw Divisions. For rules, event details and car building tips, visit www.david-crockett.shac.org/pinewood-derby.